Just when you think you know how 19th Century Australians cooked their pasta, along comes a recipe that changes everything. 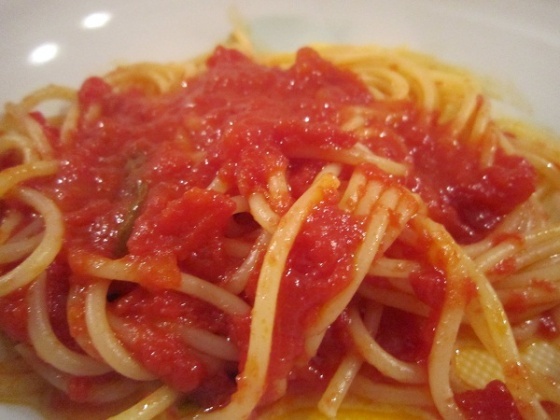 Before we go on, however, you have to know there was no such thing as pasta in the 1800s – it was called macaroni. And it was most commonly cooked in a sweet pudding , much like a rice pudding, in a bake of some sort, like macaroni cheese, or as an accompaniment or garnish to different meats (ox tongue garnished with macaroni anyone?). Take two cloves of garlic, slice them very finely crosswise, and set them to boil in a gill of fine olive oil, adding during the process two or three anchovies, well washed and boned, and cut in small pieces, and a dozen or more olives, cut in two and stoned. When the slices of garlic assume a golden color, pour the whole over 1/2lb of boiled string maccaroni (Vermicelli or Spaghetti) well drained; mix well, and serve. It comes from Australian Town and Country Journal in 1890 and, culinarily for its time, it’s a freak. Not only does it contain garlic and olive oil – both at least a good seventy years away from real acceptance in the mainstream Australian pantry; it doesn’t contain any kind of protein – unless you count anchovies – which I don’t; and it mentions spaghetti – which, while not unheard of in this period, is rare. The recipe is not prefaced with it being Italian, or foreign or unusual in anyway. It’s just a normal recipe for normal housewives, unlike any others before it, and a good way ahead of any others that follow it. “Maccaroni Dressed with Oil,” Australian Town and Country Journal, 26 April 1890, 34. Today I learnt something that probably everyone else in the entire world knows. Sirena tuna is not and has never been Italian. Its bright yellow and red tin, cute little fish and modest retro mermaid might all evoke 1950s Vespa-Lollobrigida Italy but the product is the invention of a canny migrant from the Veneto whose family is now worth some $327 million, according to BRW’s rich list. 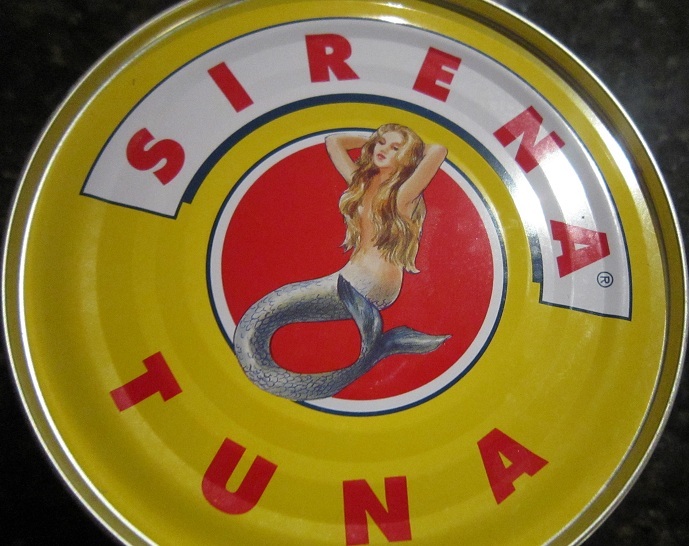 A true Italo-Australian: Sirena tuna, since 1956. Carlo Valmorbida saw a gap in the market in 1950s Melbourne for tuna preserved in olive oil. Instead of importing it, he decided to service the increasing “continental” market by getting it made to his own Italian recipe. And so Sirena tuna was born. Not imported from Italy like I thought, but made in Australia by Italians. Kind of like me. According to a report by GJ Crough on the development of the Australian tuna industry (now there’s a thrilling read! ), Sirena tuna was originally canned in Port Lincoln, from tuna fished off NSW. Later it came to be canned in Melbourne, which meant it was “located in the city where Sirena brand was most popular“. Now, like every other major Australian brand, the tuna comes from Thailand, but it still tastes pretty damn alright. As a kid, it was the only tuna my parents would buy. I remember it best on Fridays for school lunch. As good Catholics, it was always in my grease-paper wrapped sandwich along with fine strips of preserved eggplant. Delicious. Dieting made me try tuna in brine and springwater. This was a mistake. Cat vomit comes to mind. Good sense brought me back to Sirena. So cheers to Carlo Valmorbida, who died just last year, for being entrepreneurial enough to make it. Below is my favourite Sirena tuna stand-by recipe – simple, but good, like all the best stuff. Heat the olive oil in a frypan over medium heat. Fry the onions and garlic till they are soft. Drain the tuna and then toss it in the pan. Break it up with a spoon and stir. Throw in the peeled tomatoes. Stir and let simmer till the sauce thickens a bit. Season with salt, add a bit of sugar if it needs it and serve with pasta. Crough, G.J. The Development of the Australian Tuna Industry. Sydney:Transnational Corporations Research Project University of Sydney, 1987. “Families.” BRW Rich 200, May 26 June 29, 2011, pages132-143.